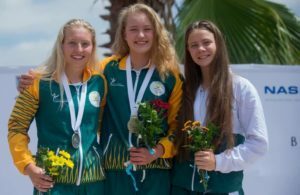 Led by women’s 200m butterfly swimmer, Dune Coetzee, Team South Africa joined nine nations at Friday afternoon’s opening ceremony of the 2018 Region V Games in Gaborone, Botswana. 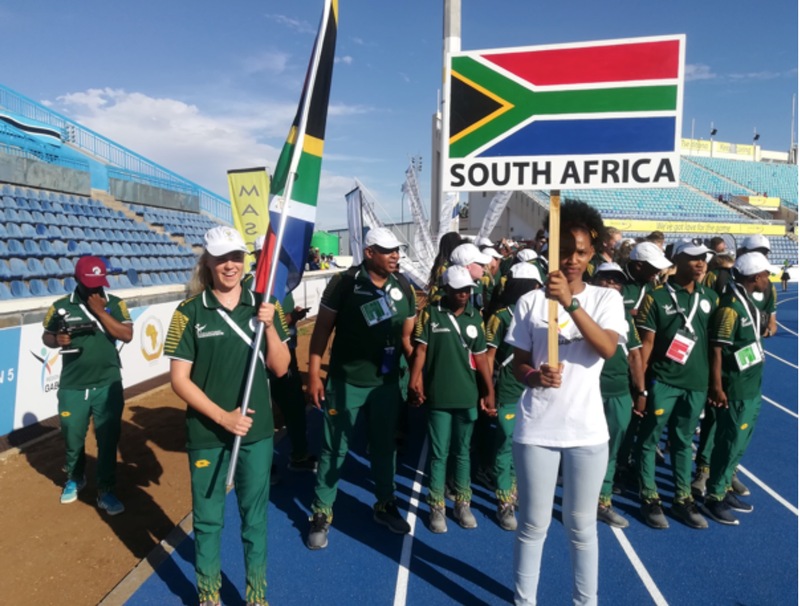 On a beautiful but scorching hot day, South Africa were the fifth team to march into the Botswana National stadium and were greeted by a loud and happy crowd. On Saturday Team SA are involved in action in tennis, women’s football (versus Swaziland), volleyball and basketball. Meanwhile, on Thursday only two sporting codes had competition and the rest of the athletes went for training. After their win against Malawi on Thursday, the Netball team again played well on Friday against their Zambian opponents. They won the match 51-36. Elsewhere, tennis players continued with their competition on Friday and played very well. Thando Longwe‐Smit teamed up with Zimbabwe’s Mehluli Sibanda and was the only South African to lose a match but there were wins for Robbie Arends (6-1 6-0 over Zimbabwe’s Tanaka Chabata) , Delien Kleinhans (6-1 6-0 over Namibia’s Megan Lombard) and Ntokozo Zunga (6-0 6-1) over Winnie. Kadamai. 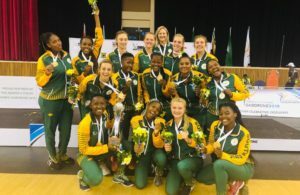 After the first two days TeamSA had 12 medals – all picked up by judo. They consisted of six gold, four silvers and two bronze medals.